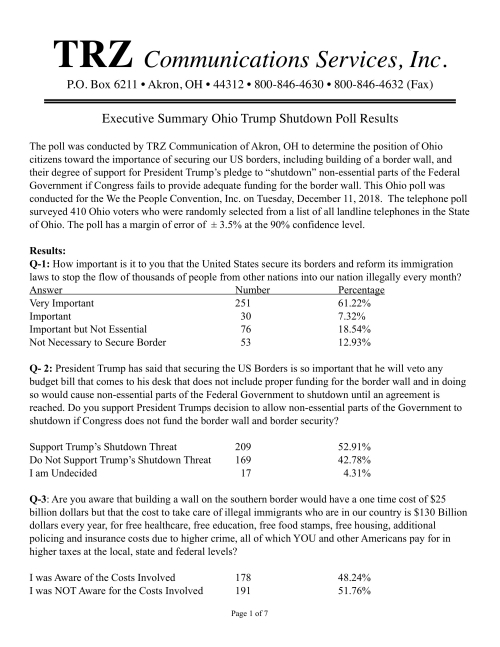 The We the People Convention poll showed that 52.91% of Ohioans support the President’s threat to shutdown “non-essential” government if Congress does not fund the border wall in the budget. 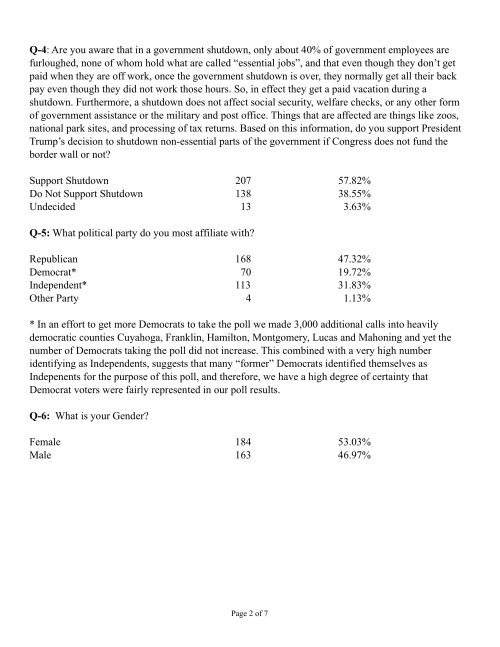 While 42.78% of those polled do not support a shutdown and 4.31% are undecided. Republicans support the President by 84.52%, while Democrats oppose the President on the shutdown by 78.57%. The survey also found that 68.54% of Ohioans feel that securing the US border was “Very Important” or "Important", while 31.46% felt that it was “Not Essential” or even “Necessary” for the border to be secured.